One of the most critically acclaimed movies currently playing in theaters is Widows, a gritty heist thriller released on Nov. 16. The intense plotline follows the wives of four thieves who die in an explosive armed robbery attempt in Chicago, their scheme to finish the job after their husbands’ deaths, and their goal to forge a future on their own terms. 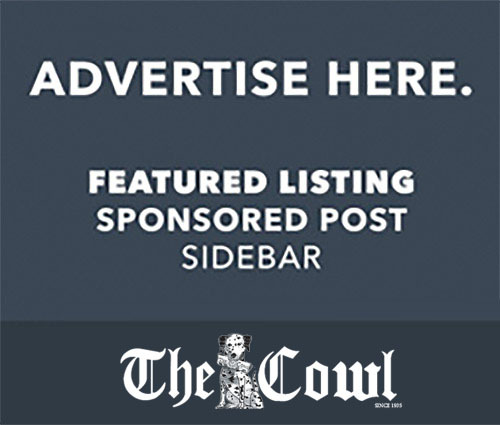 Widows, which originally premiered at the Toronto International Film Festival in September, has numerous strong elements that make it worth seeing. It is directed by Steve McQueen, an acclaimed British filmmaker who previously helmed Michael Fassbender dramas Hunger (2008) and Shame (2011). McQueen’s best-known work, though, is his epic historical period drama 12 Years a Slave (2013), which won the Academy Award for Best Picture, making McQueen the first black filmmaker to gain such a recognition. The immensely talented McQueen, who co-wrote Widows with Gillian Flynn (Gone Girl), has also received the Turner Prize, the highest award given to a British visual artist. Widows also boasts an all-star cast. Oscar winner Viola Davis (Fences) carries the film, giving a fiery performance as Veronica Rawlings, the calculating leader who is not afraid to threaten and intimidate her own crew in order to ensure success. Elizabeth Debicki (The Night Manager, The Great Gatsby) offers a career-best performance as Alice, an anxious woman who is left in financial ruin after her abusive husband dies in the opening minutes and becomes determined to see the job through. Michelle Rodriguez (Fast & Furious) plays Linda, a tough mother facing intense debt after being cut off by her family. Rounding off the crew is Cynthia Erivo—fresh off her revelatory role in Bad Times at the El Royale—as Belle, a tough boxer whose raw physicality is a vital addition to the crew’s repertoire. Liam Neeson co-stars as Veronica’s husband, Harry Rawlings, whose criminal dealings kickstart the film’s plot. Brian Tyree Hill (Atlanta), Colin Farrell, and Robert Duvall also appear. One of Widows’ most standout performances is given by Daniel Kaluuya, playing a brutal, unflappable gangster who threatens and kills his enemies with a cold-blooded calm. This chilling character shows off the actor’s range and proves that, after becoming a household name for his Oscar-nominated role in Get Out, Kaluuya is a talent who is just getting started. One of Widows’ best and most interesting qualities is its ability to bend genre and theme. This is mostly due to Steve McQueen’s skillful ability to fashion a hybrid film that combines the arthouse sensibilities of his roots with an accessible story that is fun and exciting. 20th Century Fox deserves credit for backing this vision of a film that is equal parts entertaining and intriguing: an action movie with Oscar potential. At its core, Widows is a heist film: its story revolves around a crew of inexperienced thieves trying to pull off an ambitious job. But it tackles this storyline and its heist film tropes in a particularly unique way. While genre staples such as Heat, The Usual Suspects, and The Town have served as favorites for male audiences for years, few heist films have ever placed women at the forefront of their stories, with this past summer’s Ocean’s 8 being a notable exception. However, Ocean’s 8 focused more on comedic elements and an upbeat atmosphere to satisfy audiences, while Widows instead doubles down on intensity, high stakes, and the grim determination of its leading ladies to solidify its thesis that women, too, can propel an enthralling heist film and deserve a place in the genre. Beyond engaging with feminism, Widows also tackles many other heavy themes because its leads are not only female, but also diverse. Set in the 18th ward of Chicago against the backdrop of a tight political race between a white incumbent candidate and his surging black opponent, the film touches on issues of racism, classism, and police brutality —one scene involving a young black teen being gunned down in the shadow of Barack Obama’s “Hope” and “Change” posters is particularly heart-breaking—in a subtle manner that never overwhelms or distracts the viewer. Essentially, the film never feels heavy-handed in its message; Widows makes its comments on these current issues without sacrificing car chases, thrills, and gunplay. 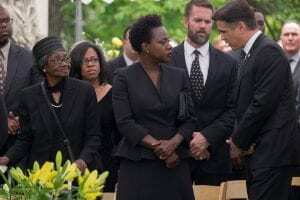 Widows, an exciting heist thriller with topical messages that never overshadow but instead only accentuate its intensity, is currently playing in theaters nationwide.